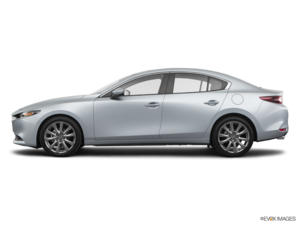 Besides paint choices and interior colour options, there are six different build combinations available with the new 2019 Mazda 3. 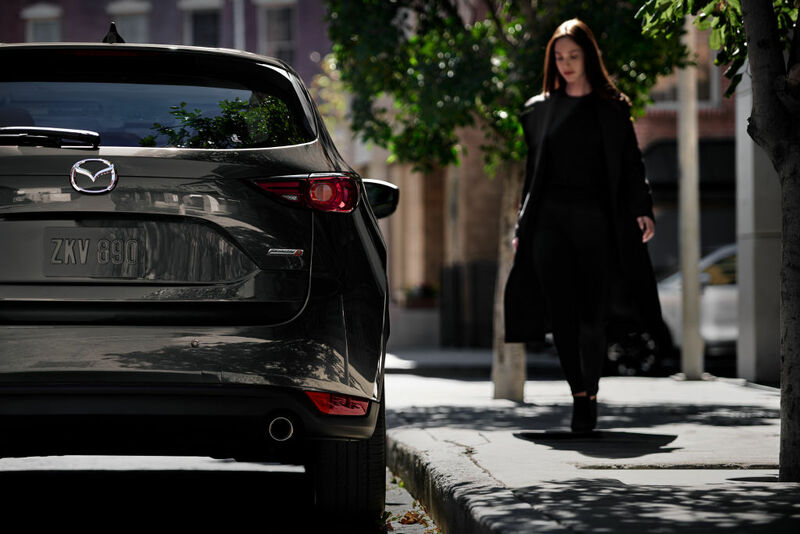 Launched as an all-new model late this winter, the fourth-generation Mazda 3 is earning rave reviews from across the spectrum. We can't say we're surprised. 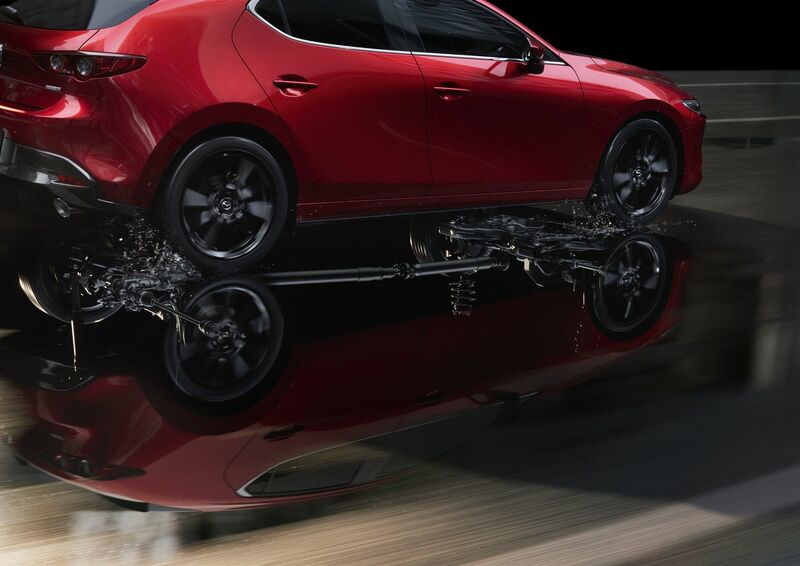 Every time a new Mazda comes out, the awards pile up higher and higher. 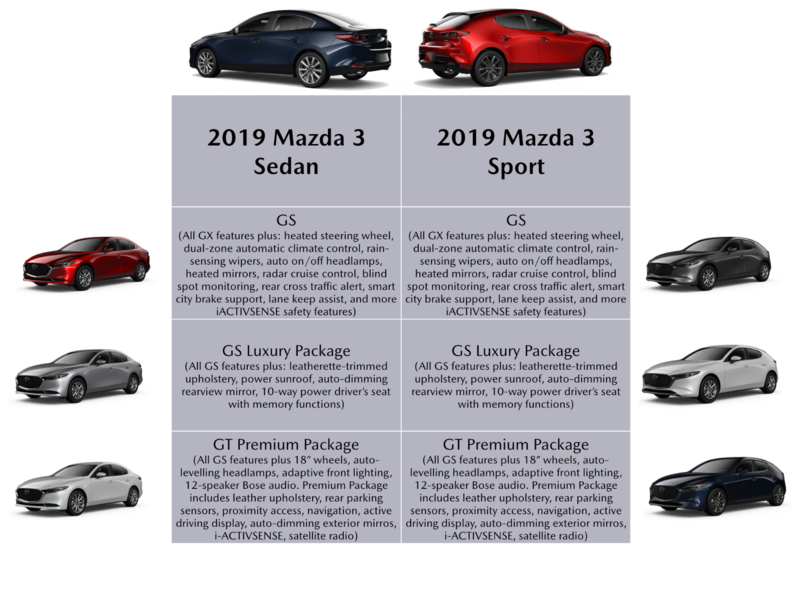 With the new 3, not only is there a new platform, new body, new interior, and new technology, there's also an all-wheel-drive system on offer. Better yet, you don't need to select one very specific model to get it. And better yet again, it's not just any ol' all-wheel-drive system. We've gone into detail explaining Mazda's i-ACTIV AWD in the past (read about it here), but if you don't recall, here's the summary: most all-wheel-drive systems react to a slipping wheel. After that momentary lapse, the vehicle determines the alternative wheel to which it must send power. i-ACTIV all-wheel drive is different. 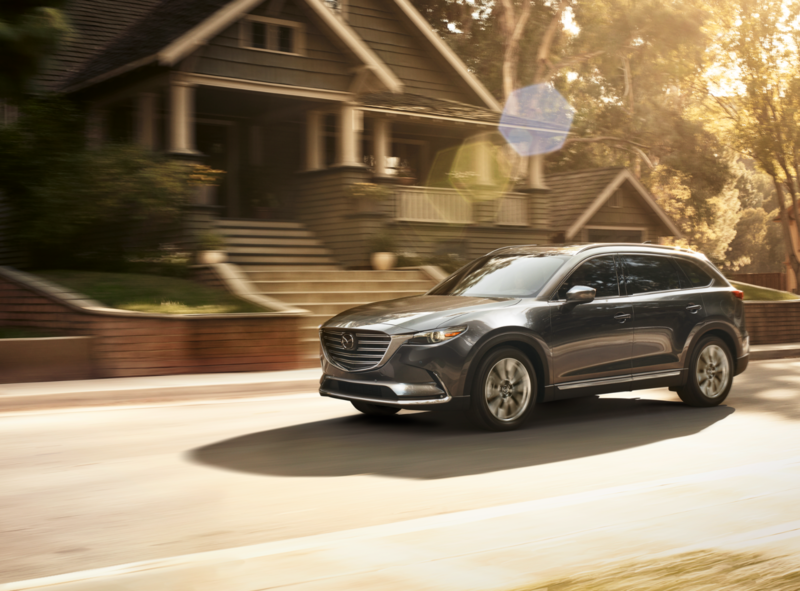 Mazda's system is constantly monitoring a variety of in-vehicle and on-road conditions to anticipate slip. And by anticipating, Mazda's i-ACTIV all-wheel-drive is ready before the car loses traction. So, what are your options in the Mazda Canada's 2019 Mazda 3 range if you want all-wheel drive? All-wheel drive certainly isn't mandatory. But it's nice to have the option, the option for the best AWD system at a great price point in a wide variety of equipment levels.